Real. Rugged. Ready for Anything. 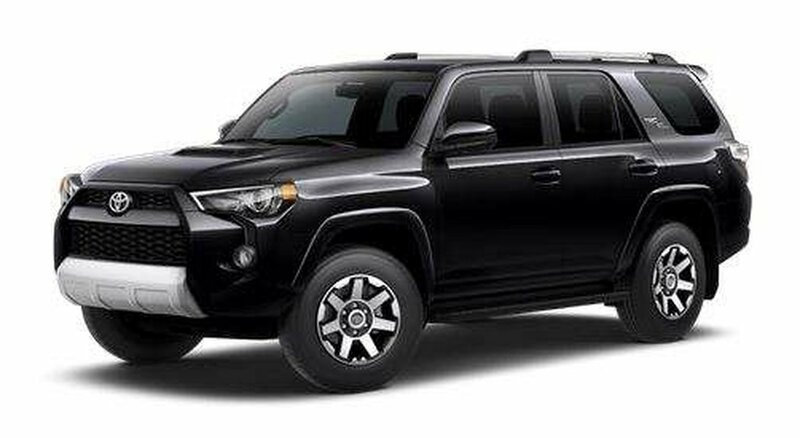 The Toyota 4Runner mid-size SUV seamlessly blends rugged 4x4 capability with a refined interior. It’s ready for all of your adventures. This 7-Passenger SR5 Upgrade is off-road ready but also delivers a thoughtful complement of premium comfort and convenience features. This is the base model of 4Runner and standard features include 4.0 L V6 Engine and One-Touch 4WD, 6.1 inch Touchscreen Audio with Navigation & Backup Camera, Running Boards & Roof Rails, Towing Hitch and Trailer Sway Control, SMS-to-speech and Email-to-speech, Advanced Voice Recognition, SofTex Leather Seating Surfaces, 8-way Power Adjustable Drivers Seat, 4-way Power Adjustable Passenger Seat, Heated Front Seats, Outside Temperature Gauge, Tonneau Cover, Cruise Control, Garage Door Opener, Toyota's Star Safety System and more! With this TRD Off Road pacakge you gain such features as Multi-terrain ABS, Automatic Disconnecting Differential, Rear Differential Lock, Lever-type 4WD Selector, Multi-Terrain Select, 4-Wheel Crawl Control (CRAWL), Hood Scoop, Black End Caps for Roof Rails, Optitron Instrumentation Gauges, Rear Door Courtesy Lamp, Black Seats with Red Stitching, TRD Logo on Front Headrests, Kinetic Dynamic Suspension System (KDSS), P265/70R17 Tires, Dark Silver Brushed Metallic Trim, and Offroad Style Aluminum Alloy Wheels!